If you have not recently visited this site please use your "Refresh" button to update your browser. After a close down to allow building work on the repeater site we are now back on the air. 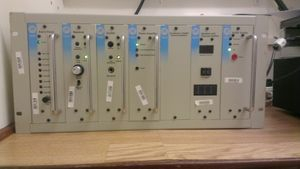 There will be a period where tests are undertaken to tune the equipment and check its coverage during these periods it may be necessary to take the repeater off air. Thanks to all users for there patience whilst the site change took place. <<<< Heres the new aerial installation. 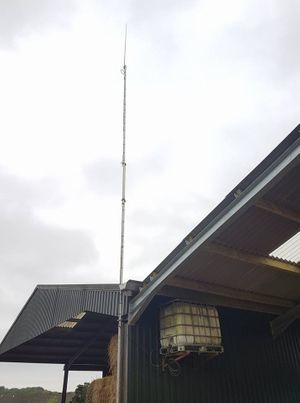 The primary aim of the repeater is to allow users access from mid and east Devon to operate over the undulating terrain of east Devon, the geography of the local area sometimes makes direct point to point communications difficult. GB3SW Fully Operational...reception reports are welcome.